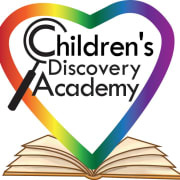 Children's Discovery Academy is a board of directors that is a tax-exempt 501(c)(3) nonprofit seeking to increase the quality childcare opportunities in Gratiot County, MI. We are seeking board members to help make community connections, fundraise, and open a childcare center in Gratiot County. Currently, Gratiot County does not have any centers* for childcare, and when school is not in session, over 4,000 children in Gratiot County aged 0-13 (over 80%) do not have access to licensed childcare. This is a community need, and we need more volunteers to make this goal a reality. Our board currently meets once a week for 2.5 hours at the Alma Library. Board members take on some responsibilities outside of meetings such as publication development, fundraising, community outreach, research, public events, and others as needed. All outside responsibilities are volunteer-based, not assigned. Our mission is to provide high quality, affordable childcare while fostering a positive community relationship. Our Vision is a community enriched with empowered parents and quality childcare. We believe all parents deserve to be empowered- to gain or maintain employment or continue their education- knowing that their children are in a safe, nurturing and enriching environment with qualified caregivers. Contact us today to help make a difference in Gratiot County that will last for future generations! All interested parties are invited to first attend a few board meetings to determine if this opportunity is a right fit, then make a statement to the board describing their expectations of being on the board, their goals, and contributions they can give to the board. The board is actively seeking members of the community with a vested interest in improving Gratiot County. Other areas of expertise the board is seeking include finance/accounting, nonprofit, legal, fundraising, and community outreach. *Gratiot County does not have any childcare centers that enroll children aged 0-13 years-old, is open 12 hours/day, 5 days/week, year-round.